I used to work customer service at a large retail store in a very affluent area, and people are used to getting what they want, when they want. After a couple of months my supervisor asked me why I didn’t seem to get the really disrespectful or difficult customers at my register. I laughed and told him I had protective stones in my bra. The look on his face was priceless and needless to say he didn’t quite believe me. After a quick trip to the bathroom I showed him. Amongst the stones was my trusty black tourmaline crystal. He thought I was weird, and didn’t quite believe me. Until the day I forgot my stones. I swear I had just about every difficult customer that day. During a lull, he asked me if I forgot my rocks… and of course I had. Apart from being surprised he noticed, it was just reinforcement of what I already knew, the stones have an effect. This is why we call black tourmaline one of the customer service stones. It has not failed me! My top three protective stones are black tourmaline, shungite and hematite. I rarely leave the house without black tourmaline and shungite. If you don’t wear a bra, you can carry these stones in your pocket, wear in jewelry, stuff in your socks or wear a pouch of stones. But what if you don’t have stones? You can surround yourself in a bubble of white light. This can work anywhere, or any time. Try to find somewhere quite if possible and take a few deep breaths. Close your eyes and imagine the largest iridescent bubble surrounding you. Sometimes I envision my self blowing bubbles until I have one big enough to surround me. I also love black tourmaline for protecting spaces. 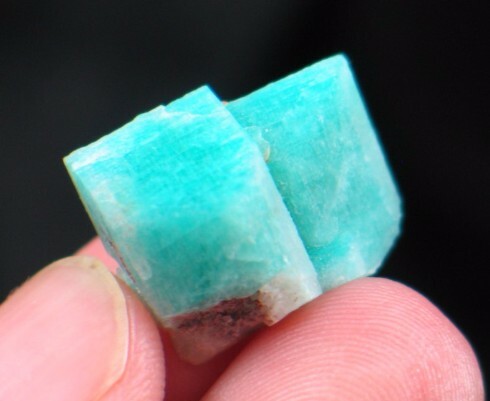 You can keep in in your cash register (add malachite and citrine for prosperity). I also keep black tourmaline by each of our doors. It not only helps us shed any negativity that may be clinging to us as we cross the threshold, but anyone else too. We actually keep shungite, obsidian, black touramline and rose quartz by each door. Keep these stones by your desk and in your car. Handy if to have extras around in case you forget your personal stones. The past few months have been quite intense for Mary and I, and I’m sure for countless others. The energy has been all over the place, and I think everyone is feeling it more than usual. And if you suffer from depression and/or anxiety even the small things can be more challenging. This is something Mary and I battle with on a daily basis. Finding motivation to keep going can be difficult and there are days where getting out of bed is challenging. I’m sure many of you can relate. Living with High Functioning mental illness is more challenging because people around you often don’t even realize it. Often they just have a hard time understanding this truth, because on the surface, you have it all together. It’s hidden, and those of us able to function have developed coping mechanisms so others can’t see it. But let’s back track for a moment and define depression and anxiety. It’s estimated that over 19 Million people in the US suffer from depression. The actual numbers could be higher. A mental health disorder characterized by feelings of worry, anxiety, or fear that are strong enough to interfere with one’s daily activities. Examples of anxiety disorders include panic attacks, obsessive-compulsive disorder, and post-traumatic stress disorder. Symptoms include stress that’s out of proportion to the impact of the event, inability to set aside a worry, and restlessness. Here’s an article on The Mighty that outlines how anxiety feels. My personal history of anxiety really kicked into high gear when I started college. If it wasn’t for a long range walkie-talkie and following my dad for most of my commute, I don’t know how I would have made it to class every day. On days I didn’t follow him, Mary and I traveled together. Staying accountable to someone else helped to get me out of the house. It wasn’t a perfect system, but it worked most of the time. These days my anxiety often appears in the form of procrastination, and lack of time keeping. Denial that I need to leave the house leaves getting ready to the last moment. There have been periods that I have to have alarms for everything, reminding me to get dressed, it’s almost time to leave, time to leave, and crap you are going to be late if you don’t leave RIGHT NOW! However, I have problems in crowds and social settings also. I try to go to stores during slow times, if it’s too crowded I get overwhelmed and can’t focus. An inability to function can often lead right to depression, of feeling like I’m not enough, I’m not good enough. I’m not adult enough. There are times I feel like there is no hope and no point. Why, I ask all the time. Does it matter? I don’t make a difference. The reality is none of those are true, but in the dark times there is hardly rationalizing these feelings. Battling these emotions on a daily basis, I’m frequently exhausted. So, what do we do about it? First, be gentle with yourself. Remind yourself often that you are worthy, lovable, and capable. Set reminders on your phone, do daily affirmations, stick post it notes in places. Reach out to your friends. Take time for yourself. The pace of our society is quite insane. We get less time off than others around the world, with many of us accruing vacation we feel we don’t have time (or deserve) to take. We feel that there is so much we have to pack into a day, its just not possible. So the laundry doesn’t get folded, dusting wait another week. Is it really important? It’s okay to let some things slide. Mary and I use crystals as a part of our way of dealing with anxiety and depression. In fact these anxiety was a a huge reason why we started TOSOTS. When Mary was at her worst with severe agoraphobia (basically fear of going outside), selling crystals was her primary job as something positive should could do working mainly from home. Stunning natural color citrine point. Those of you who know us, labradorite and citrine is one of our favorite combinations. These are our go to anxiety combination. Labradorite brings balance and helps to reduce negative thought patterns. It is emotionally soothing. Rolling the stone around while focusing on the flash and patterns of colors helps to still the mind. Citrine boost self confidence and balances the mind-body connection as it works solar plexus and crown. Hold citrine to your solar plexus, located at the base of the stern where the rib meet, breathe in while visualizing white light energy infusing your body. Breathe out negativity. Lepidolite and Lithium in quartz play a dual role with the lithium content in the stones helps to counter depression and anxiety. 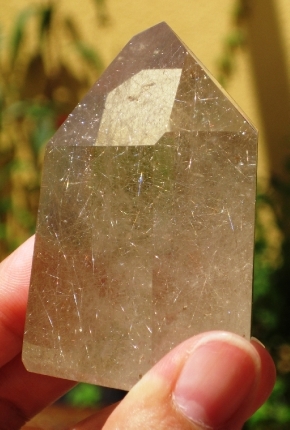 Lithium in quartz also a strong heart stone that brings emotional peace. Lepidolite works more on the physical aspects of the body, while the lithium in quartz works more with the emotional side. When working with stones for depression, it is necessary to feel grounded, protected and have stones that feed your energy. Smoky quartz fits the bill on all levels, its energy is rich and warm. Smoky quartz brings joy, it grounds but doesn’t make you feel heavy, it lifts the spirit. Its energy gives you a sense of safety and comfort. Really everyone can benefit from Smoky Quartz! I often sleep with smoky quartz under my pillow or grasped in my hand. It is always on my nightstand. Tourmaline is another of our favorites, it comes in a huge array of colors. But pink, green, black, and blue are most common. 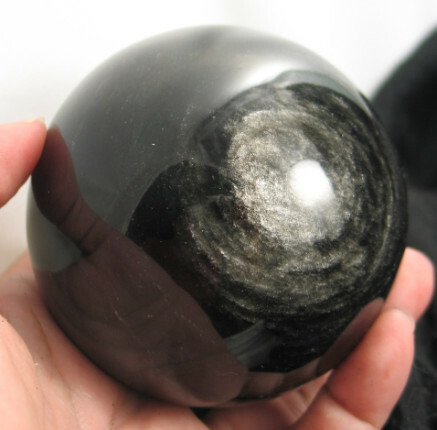 Black tourmaline is very protective, helping to ward of negativity and to some degree negative people. Tourmaline feeds your energy. And for this the heart chakra colors of pink and green work best. They help to bring joy and foster self-worth. Their energy is very easy to work with. Jade also comes in several colors, but for this, green is the go to color. I prefer the darker shades of green jade. Jade is often associated with abundance and prosperity. However, Jade is also good for connecting you to the earth energies. It helps to instill hope and bring greater harmony into your life. 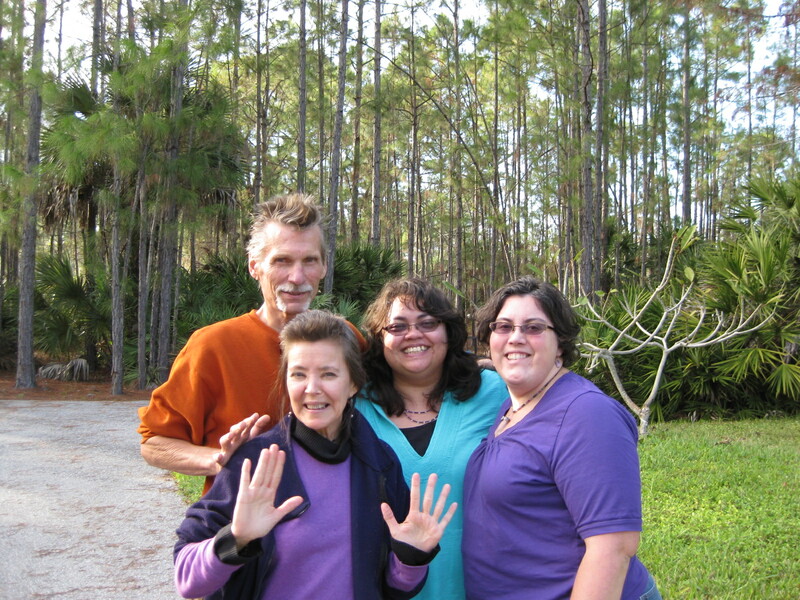 Last week we were privileged to have Marilyn and Tohmas Twintreess stay with us, teach us new things, and share new stone spirits. They delighted in the sanctuary of our home with the peacefulness of the forest, the colors of the peafowl, and the antics of our koi. We have been truly blessed. We passed on your greetings and desires to be with us to attend their classes. Although their classes are best attended live, they graciously allowed us to record a message for you all with musings on their spiritual path, honoring your spiritual path, listening to the stone spirits and more. Their video is in 2 parts on You Tube, click here to view their message! I was talking to a customer last week, and she asked me some very good questions. Why do people need crystals now more than ever? How can the crystals help us? If you had to only give one message from the crystals, what would it be? Some pretty heavy stuff, but I’ll keep it simple. Crystals are food for the soul. Many have figured out that our modern lifestyle needs some improvement. We are relearning the importance of eating good foods, exercise, and even taking time for ourselves (shocking isn’t it?). Yet our spiritual (energetic) side is still often ignored. Crystals are from the Earth help us reconnect with ourselves, our environment, and our Spirituality. Some have Earth energies, providing grounding and balance. Others raise our energy, helping us to tap into the Divine. As our lives have become more complex, fast paced, and stimulus intensive, and our modern society has become out of sync with life’s rhythms. We are expected to be constantly on the go and over stimulated. This can leave you feeling unfulfilled, drained of energy, and susceptible to illness. Crystals are here to counter the chaos, bringing focus, balance and healing. They are here to guide us through the changing times and help us cope with the energy shifts ahead. Crystals are tangible, they remind us of these things just by being present. Crystals provide a link to our angels, guides, totems and other spiritual aspects of ourselves. After a lot of research and planning, we’re very pleased to announce our online classes! We’re asking for $10 donation to help cover the monthly charges for the service, but any amount is accepted. You can attend the classes online, via the phone, or even through an app on your smartphone. There’s no software to install but you’ll get more details once you’ve signed up. Our first one will be October 22nd at 3pm. Are you just starting with crystals and don’t know where to start? How do you know a crystal is right for you? Where do you start? And how do you pick crystals for others? These are just some of the questions we’ll help you answer.